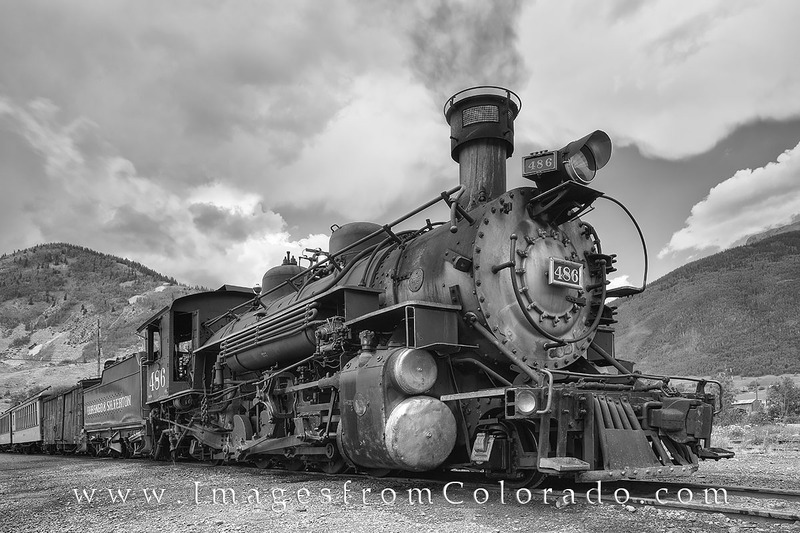 This steam engine is part of the narrow gauge railroad that ferries visitors from Durango to Silverton and back. The ride is breathtaking and follows the Animas River for approximately 52 miles. The railroad was originally constructed to haul gold ore and silver out of the San Juan Mountains, but today is a major tourist attraction. The black and white image was captured on a nice summer morning. Photo © copyright by Rob Greebon.